The Colombian Caravana is concerned about the recent statement made in May 2014 by Jorge Eliécer Molano and Germán Romero, Colombian lawyers and human rights defenders, announcing that they will be forced to suspend their work as lawyers, unless protection measures are urgently implemented on their behalf. We have known Mr Molano and Mr Romero for a number of years, and we greatly admire their work as legal advisers in non-governmental associations such as the Sembrar Corporation and dhColombia, and as legal representatives of victims of human rights violations in cases of great importance for human rights and the functioning of the rule of law in Colombia. These cases include the 2005 massacre against the Peace Community of San José de Apartadó, and cases of persons forcibly disappeared from the Palace of Justice in the 1980s. 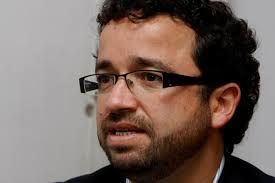 Jorge Molano has been granted precautionary measures from the IACHR. In January 2013, the National Protection Unit (UNP) defined Mr. Molano’s risk level as extraordinary. On March 26, 2014, the Colombian state agreed before the Inter-American Commission on Human Rights to adopt measures to protect Germán Romero and Jorge Molano. To our knowledge, at the time of writing this letter, these lawyers have received no new security measures. On the “International Day of the Endangered Lawyer” in January 2014, lawyers’ associations protested in different cities around the world about the lack of protection in Colombia for lawyers. According to information from the Attorney General’s Office between 2002 and 2012, there were over 4,400 incidents against this group and over 400 lawyers and lawyers have been killed in Colombia since 1991, which means that on average each month one lawyer is murdered. There are also numerous reports describing how, in addition, human rights lawyers face arbitrary arrests, illegal wiretapping and threats to their lives and personal integrity. We add our voices to the concerns expressed by the Office in Colombia of the High Commissioner for Human Rights (OHCHR) in its 2013 report which “found significant delays in the implementation of protection measures by the National Protection Unit, which increased risks to human rights defenders”. Jorge Molano has repeatedly communicated his concern for his safety. We believe that it is vital for the rule of law to guarantee and provide all the necessary resources for those dedicated to the free exercise of defending the rights of victims. 3. Material: provision of the necessary security measures to Jorge Molano and Germán Romero so that they can continue with their work defending the human rights of the victims they represent. We will continue to monitor the progress of the investigation into all the above threats. We also ask that we be kept updated in respect of the extent to which progress has been made in investigating the above crimes, in bringing those responsible to justice and in implementing the necessary protective measures. Read more information about the work of Jorge Molano from PBI’s Alliance for lawyers at Risk, here.